Christmas came early! Well, at least it did when it comes to all of the holiday wrapping paper at Target. 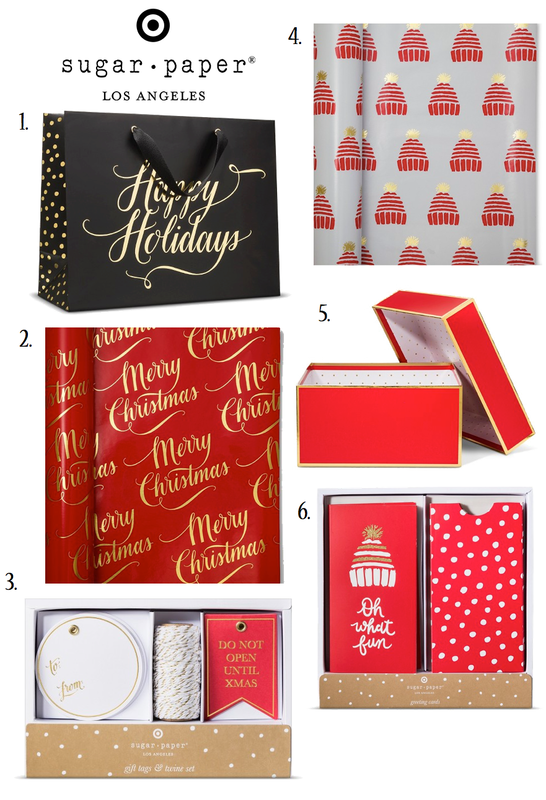 I discovered Sugar Paper last year around the holidays and became completely obsessed with their holiday festive wrapping paper and gift tags. This year, they did a whole holiday collection with Target that is just chock full of holiday cheer. I may have gone a tad overboard and got A LOT of pieces from the collection, but can you blame me? Look how cute they are! Check out some of my favorites below! These are gorgeous! I was already planning on stopping at Target today, looks like I might need to pick up some wrapping paper! I LOOOVE Sugar Paper. Like, LOVE. They have some of the prettiest wrapping paper and accessories to go along with it at Target. I'm super in love. The boxes don't even need to be wrapped they are that pretty! Crazy idea, but you can use this paper to pack your printed works from best dissertation writing service. You know, just to be sure that it is safe and won't be damaged.